I love taking selfies and I don’t care what you think that says about me. Everyone should love selfies. You’re the most important person in your life, without you, your life is literally nothing. Anyway, the problem with selfies is the lack of forward flash. 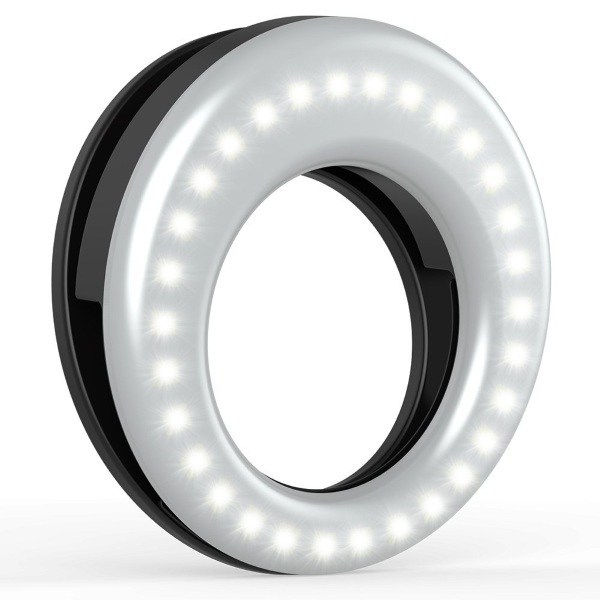 Stop being underexposed with the Clip On Ring Light. This light has 36 LED bulbs and a universal clamp. It works on every phone. 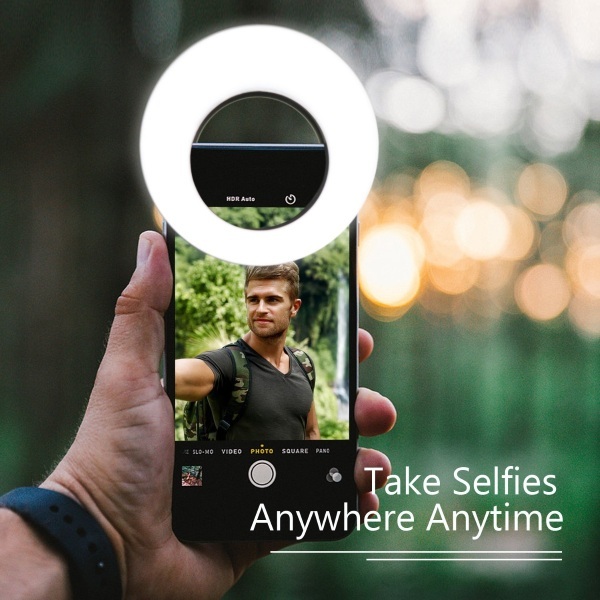 Just clip on, turn on, and you’re ready to take a great photo of yourself. The design is light weight and can be carried without adding bulk to your bags. In a pinch, the light can also be used as an emergency light. Broke down car, lost something under the couch, need to go into a spooky basement, whatever, it’s ready for your purposes. Get better photos with your phone using this little attachment. You can pick one up for $12.99.